A law student and two young lawyers have filed a petition before the Supreme Court praying that the Mic system installed at the benches of the Judges be used as a norm. The petition also urges that the advocates be allowed to argue only from the places earmarked for the very purpose in every courtroom. The petition has been filed by law student Kapildeep Agarwal and two advocates --Kumar Shanu and Paras Jain. While impleading the Supreme Court, the petitioners say that they have raised the issue of use of already installed Mic system in the apex court for the protection of Freedom of Press i.e. the Right of media persons to report court proceedings of the apex court and the Right to Know of public at large which include interns and litigants, under Article 19(1)(a) of the Constitution of India. They also say that non-usage of mic negates the concept of open court. “Litigants and Interns are not able to transpire the court proceedings properly. 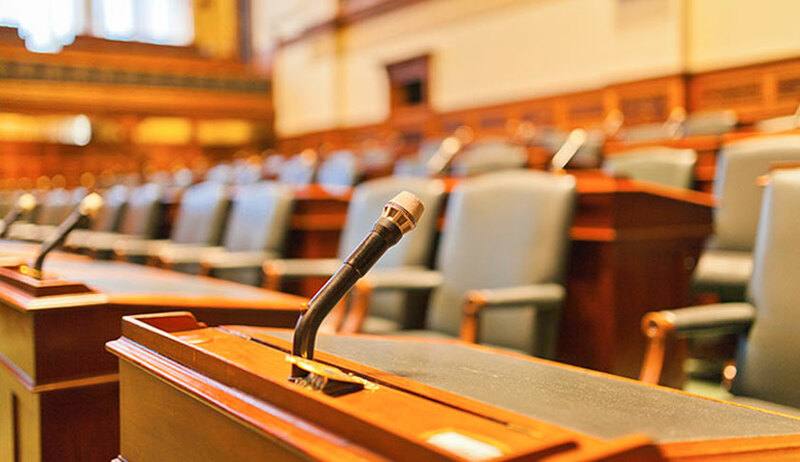 The non-usage of the Mic- system installed at the benches of Justices and the place earmarked for Advocates to argue is not only violating the fundamental rights mentioned above but is also creating hindrance in the administration of justice,” says the petition. The petitioners say that it was during their internship at the apex court that they faced “great difficulty in transpiring the court proceedings…due to non-usage of already installed Mic-system in the overcrowded courtrooms. This difficulty continued to be with the Petitioners even when they appeared before this Hon’ble Court as litigants as they could not hear and see anything which violates their Right to Know under Article 19(1)(a) of the Constitution of India and principle of Open Court”. Arguing for the right of media persons, the petitioners say, “The Media Correspondents also derive the fundamental right of Freedom of Press from Article 19(1)(a) of the Constitution of India. This right could only be well exercised in true letter and spirit when the correspondents get free and reasonable access to the court proceedings and in reporting the same to the public at large. The non-usage of the already installed Mic system by Justices and Advocates is also restricting the Media from reporting the court proceedings of this Hon’ble court especially when this Hon’ble Court gets over-crowded”. Also speaking for how non-usage of mic system can lead to wrong news being circulated in the public, they say, “With the rise of digital media platforms, there is a great rush to break the news in real time by the media. This might cause misreporting leading to an irreparable loss to all. Such misreporting can also invite Contempt of Court”. It is to be noted that Kapildeep had filed an RTI application way back in July 2017, seeking to know reasons behind the installation of the Mic system in the courtrooms in the apex court and the cost incurred in the installation. The response to his application revealed that a whopping expense of Rs 91.95 lakh had been incurred in the installation of mic system. “Mic system is an inherent part of the courtroom infrastructure of the Supreme Court of India and that a total amount of Rs. 91, 95, 859 (Ninety-one lakhs ninety-five thousand eight hundred fifty-nine rupees only) has been incurred in the replacement of the Mic system in the Courtrooms of the Supreme Court of India,” the response read, as stated in the petition. The petitioners also stated that late last year, the CJI had called a meeting of media persons wherein many journalists had shared their concerns about judges being inaudible and prayed that mic system is used to help them report the correct news. In 2016, the three petitioners had made a representation to the State Consumer Disputes Redressal Commission (SCDRC), New Delhi which had led to the Forum reducing the gap between the bench and the place earmarked for parties to argue their cases as the huge gap was posing problem for litigants, especially senior citizens, in advancing their oral arguments.